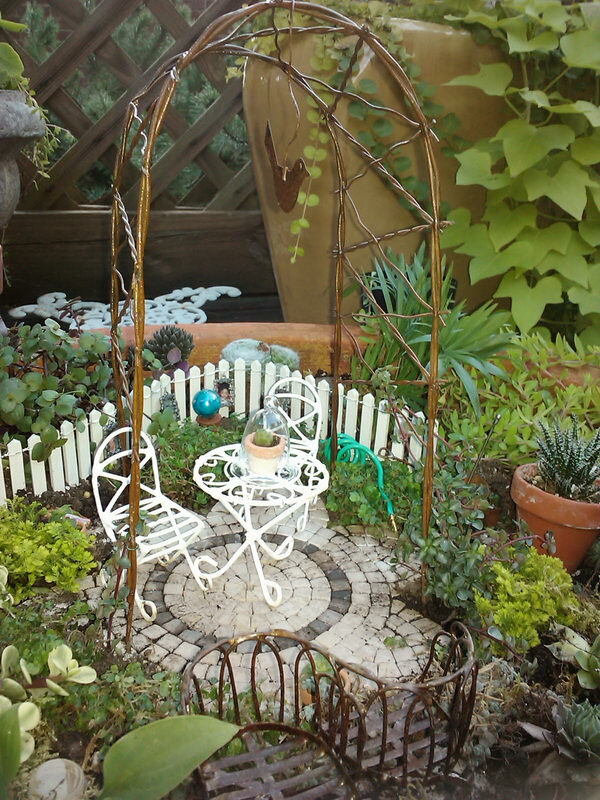 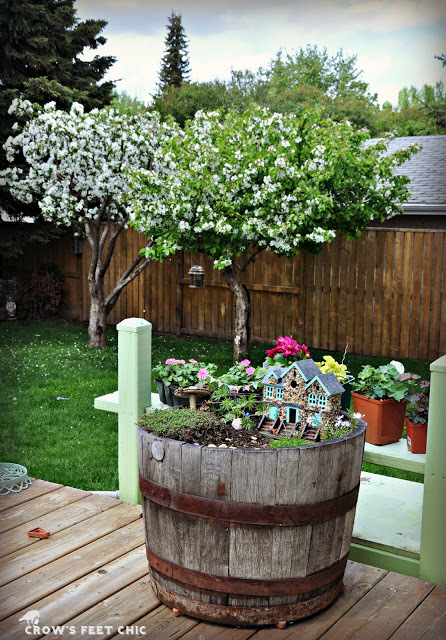 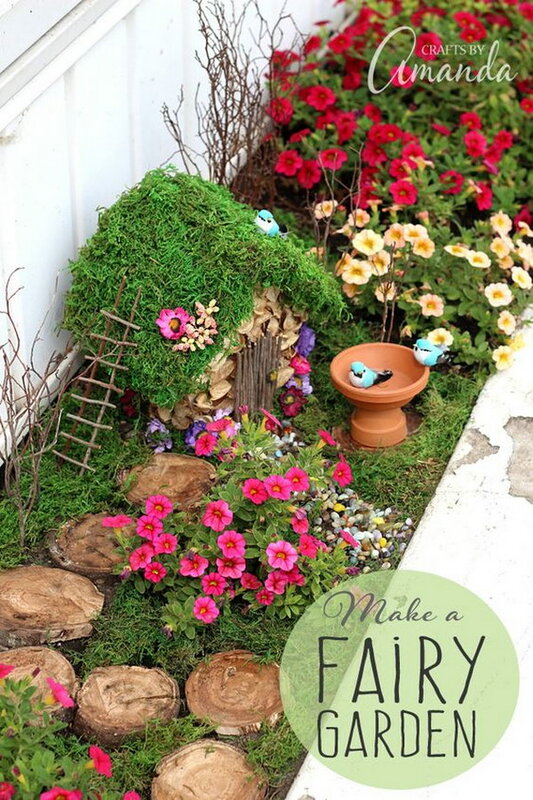 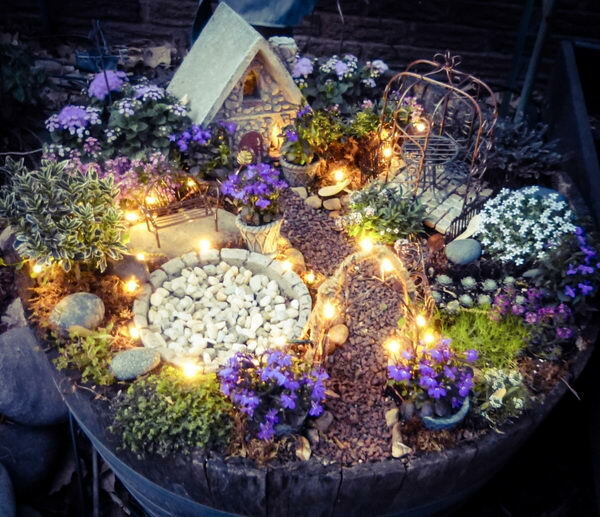 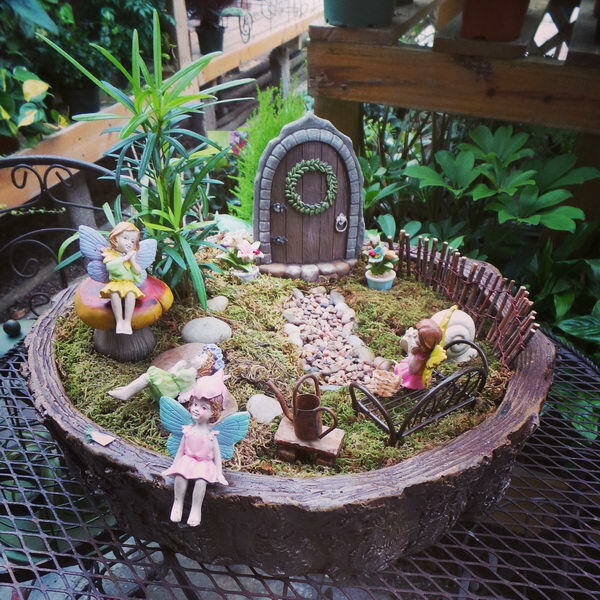 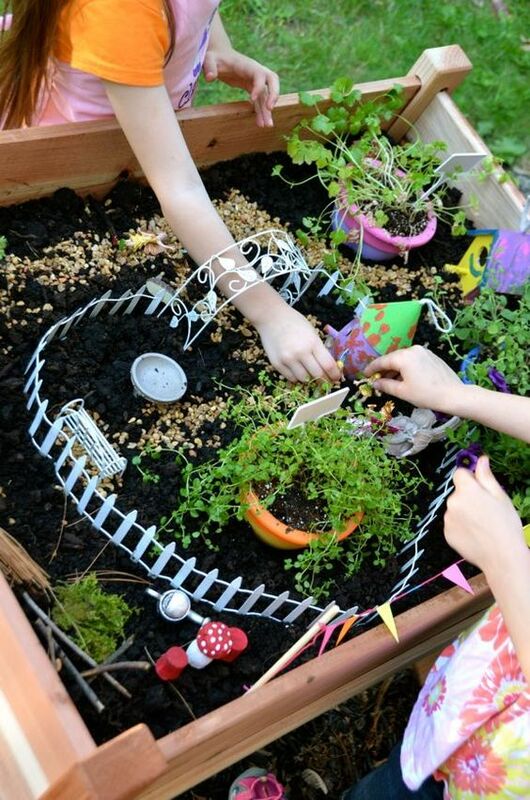 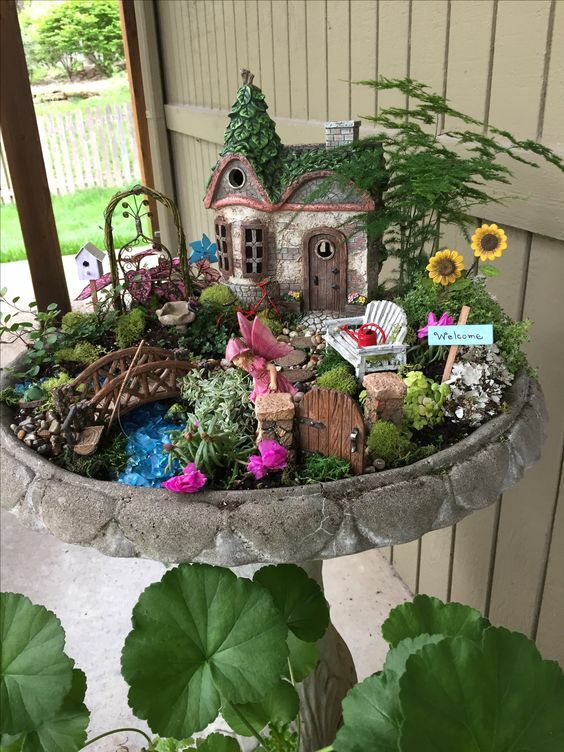 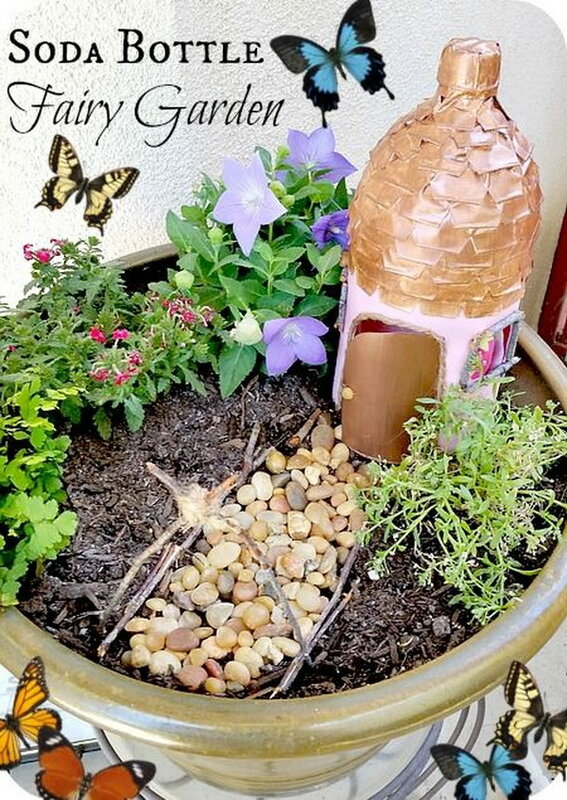 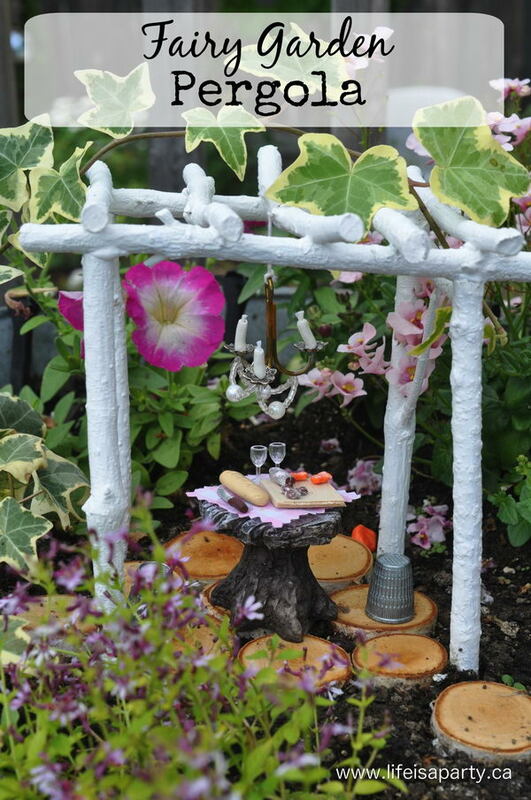 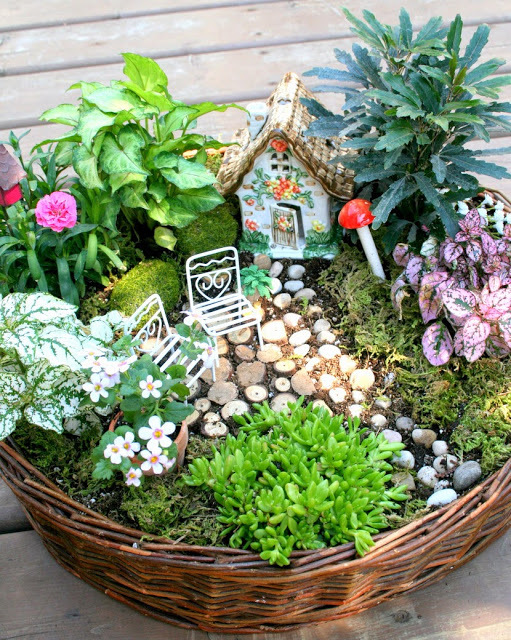 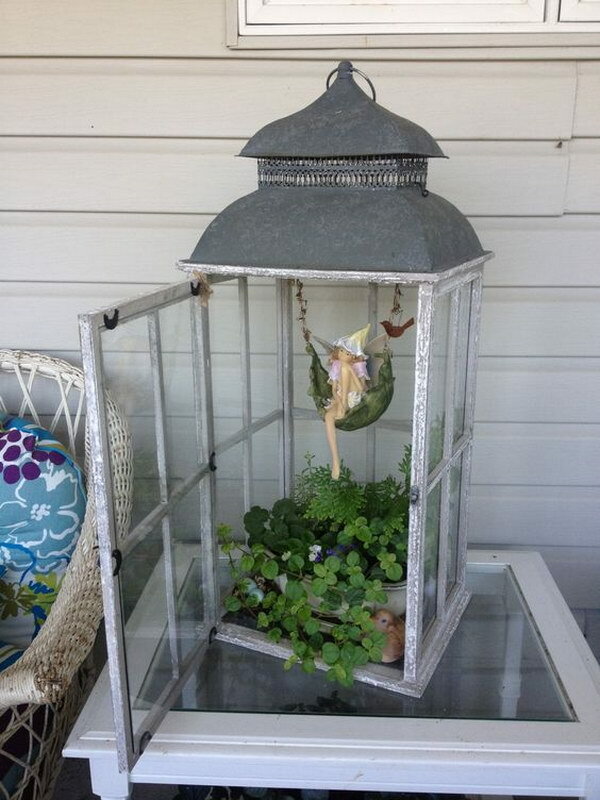 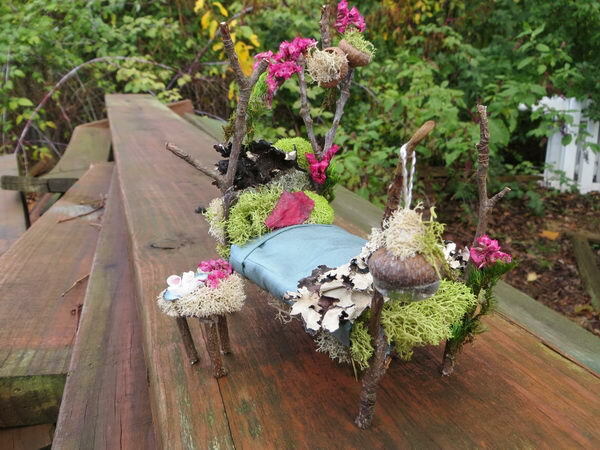 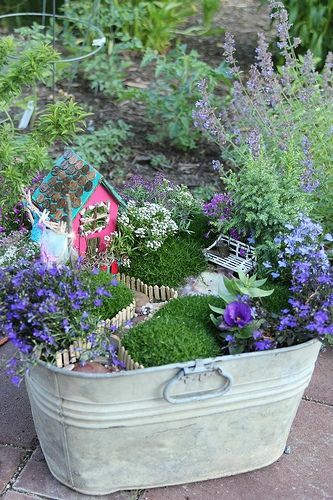 This fairy garden is really beautiful with its bright, colorful flowers. 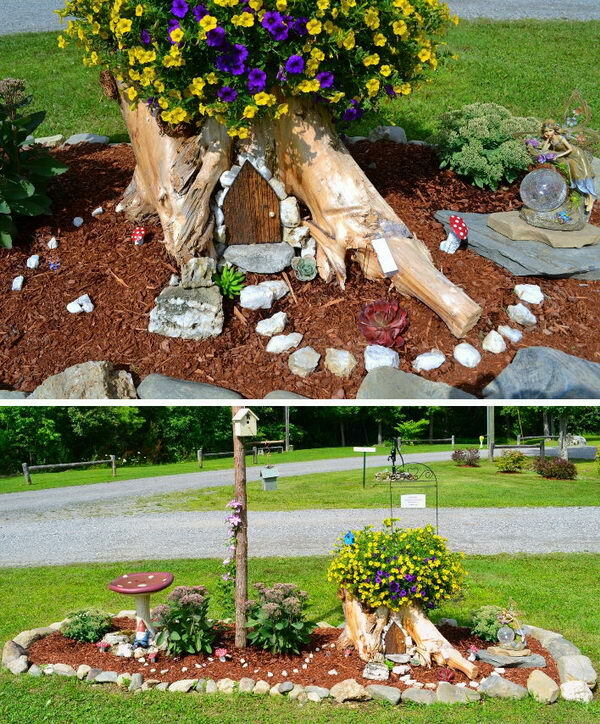 The rustic windmill in the middle is gorgeous and unique, as are the petals around the rim, which make the garden look like it was planted at the center of a flower. 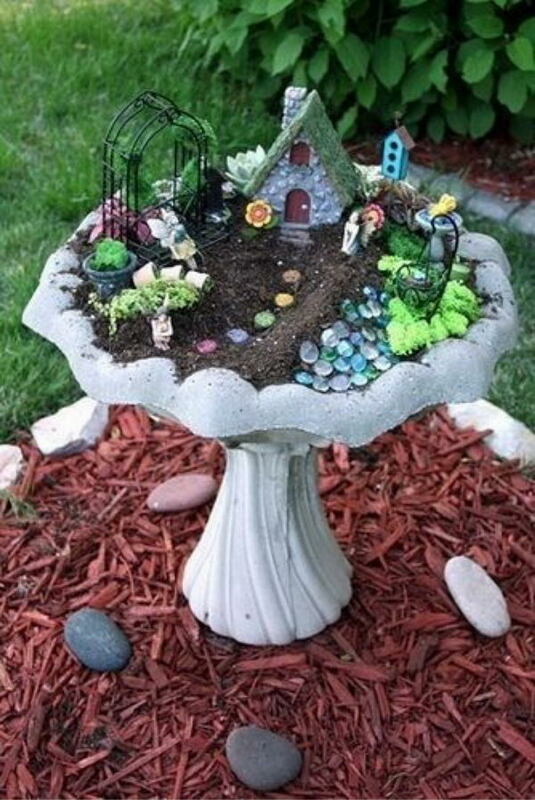 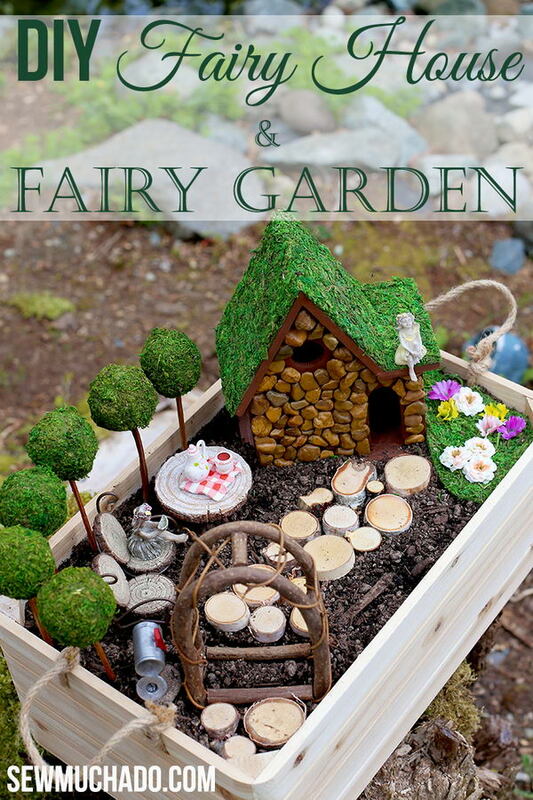 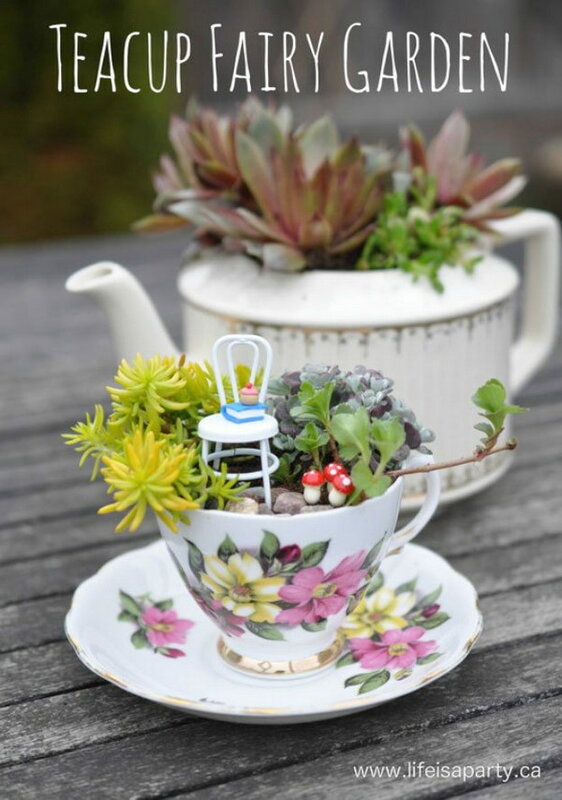 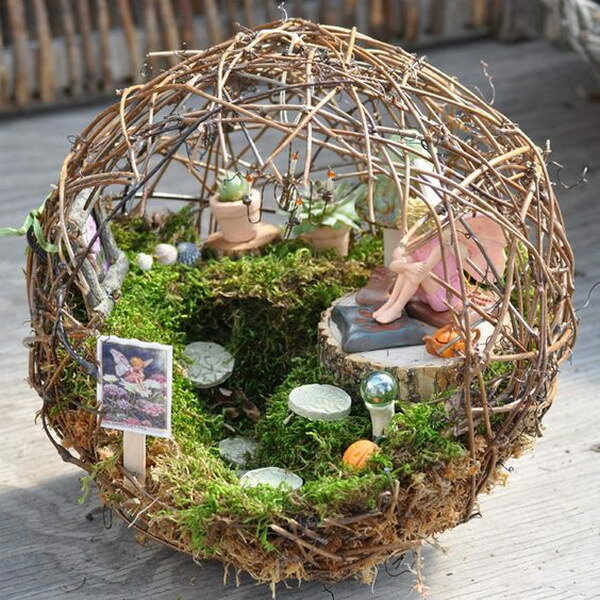 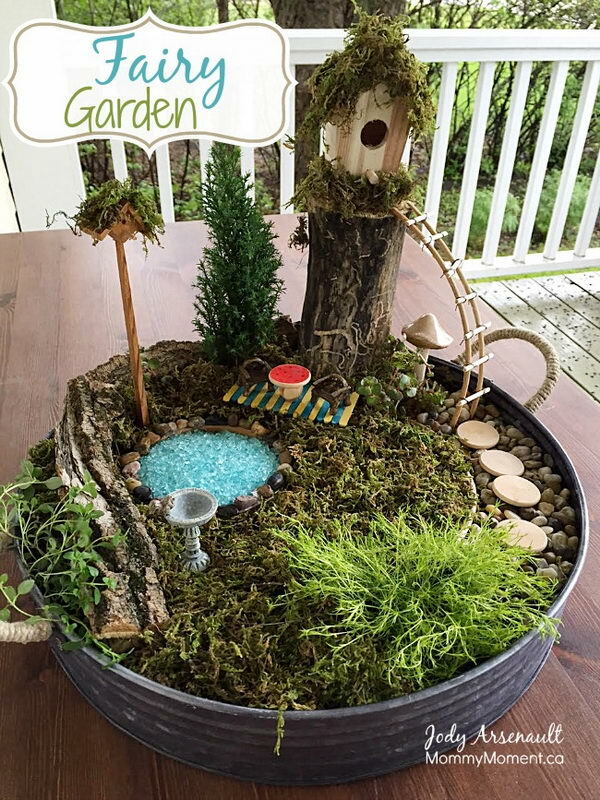 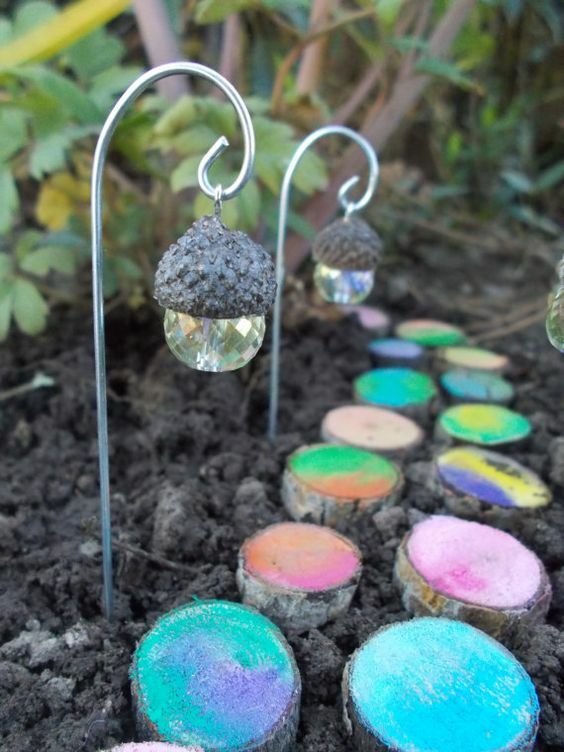 It doesn’t get any more whimsical than The Wizard of Oz, so it makes all good sense to create a miniature of the Emerald City as your fairy garden, if you’re a fan. 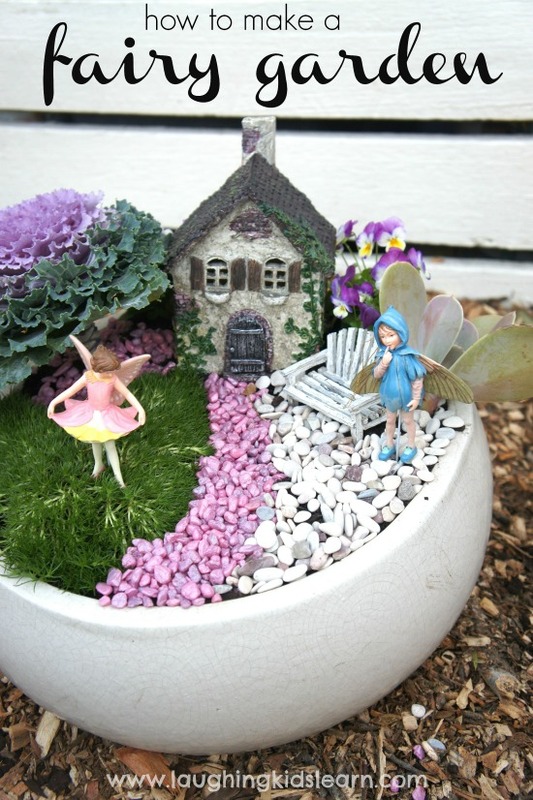 The little creation full of detail was made using green glassware and beautiful, multicolored pebble road. 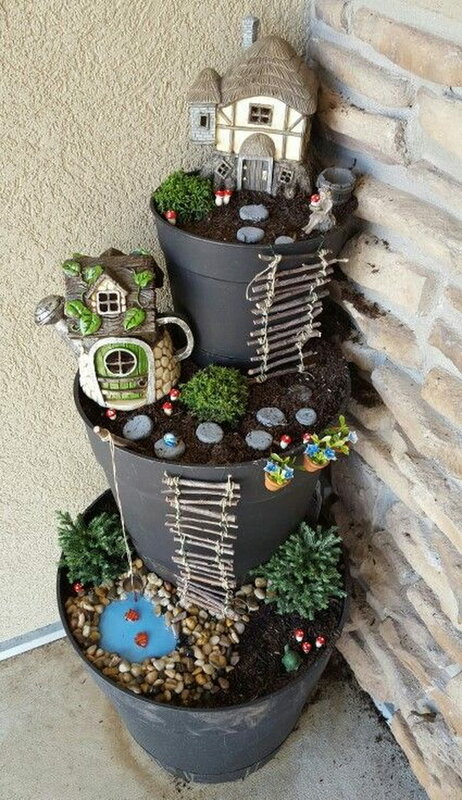 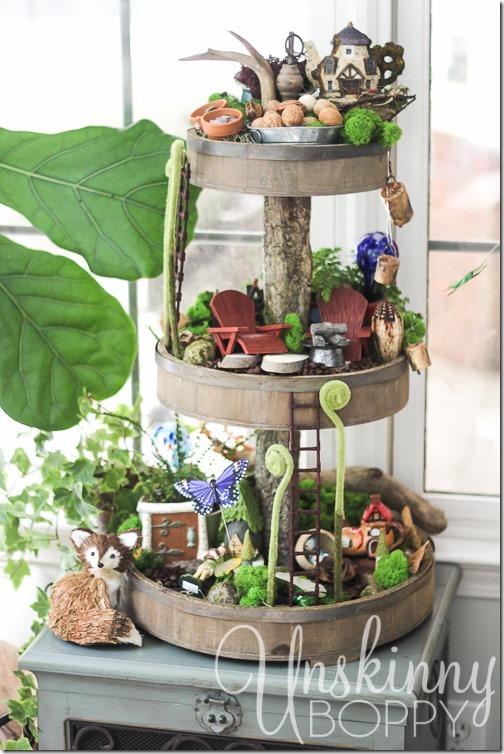 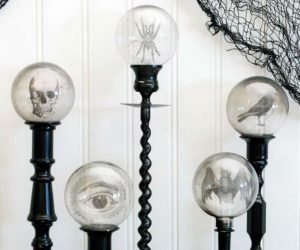 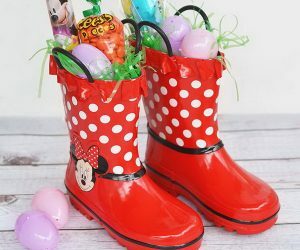 The stacked, potted garden is a great craft. 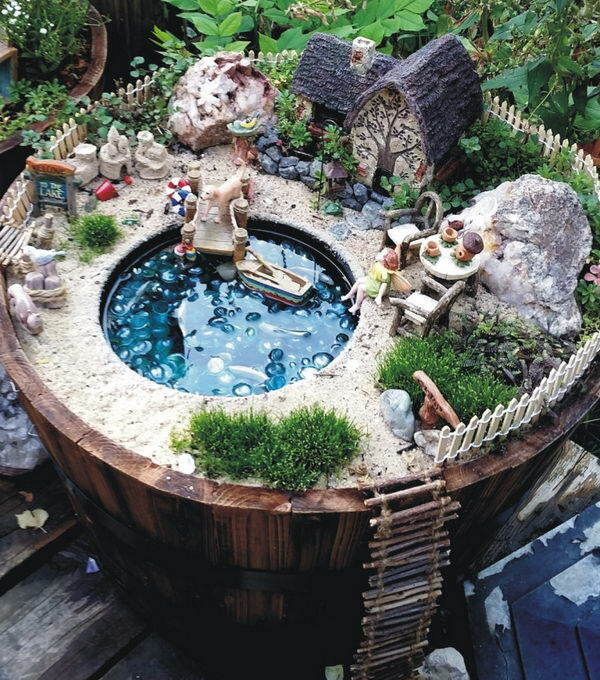 In fact, the tower garden actually looks more like a fairy town with its little huts, ladders going up the side and even a little fake pond in the lower level.